Home automation is getting close to becoming mainstream, but there are two big obstacles: centralization and cost. There’s not much a homeowner can do about the centralization issue, but when it comes to cost there is plenty of wiggle room. You may not be able to control your entire home from one centralized app or remote, but you can certainly control the temperature on a platform that has Wi-Fi access. Controlling the temperature of a home remotely is one of the most desired home automation tools available. Whether you want to heat up your home in December while you head home from the office or cool things down without budging from family movie night on the couch, a few great options are available. A WiFi programmable thermostat can make your life a lot easier. Nest and Honeywell thermostats both retail for around $250, and Nest has an estimated energy savings of 20 percent. It also has 100 percent positive ratings for design, features and ease of programming and installation. However, it falls short in the warranty and support arena, although that may be because people always want more when it comes to a guarantee. 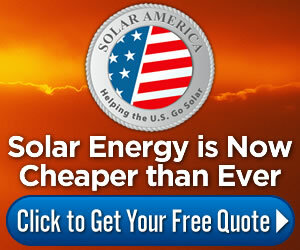 Overall, it saves the average homeowner about $360 per year in energy costs. Honeywell gets a 100 percent rating for features, but lags behind Nest in every other category. On the other hand, it has an average energy savings of 33 percent, which translates to about $594 per year. Honeywell also offers seven-day scheduling, smart response, phone programming and operates with a battery — as opposed to Nest’s wireless approach. The Hunter Max costs less than $80 and has a 100 percent rating for design and features. Just like Nest, it averages a cost savings of 20 percent. With a changeover manual to automatic feature, smart response and one-touch override, it has a lot of features for a very low price tag. Unfortunately, only self-installation is offered, which is probably why the ratings for support aren’t as great as they could be. Trane retails for $200 and doesn’t score near 100 percent on any of the options. It has a cost savings of 15 percent or $270 per year. However, professional installation is offered and it comes with phone programming, one-touch override, automatic daylight savings time adjustments and smart response. With a $60 price tag and 18 percent energy savings, this option has a lot of bang for a little buck. Homeowners average a savings of $324, and it seems well worth the investment. Professional installation is also an option. There are a lot of devices available, each with pros and cons. Think about how much you want to spend, how much you want to save and how many bells and whistles you want before buying. Author Bio: Alicia Lawrence is a content coordinator for WebpageFX, an Internet marketing company that helps promote products like Havahart’s motion sprinkler.